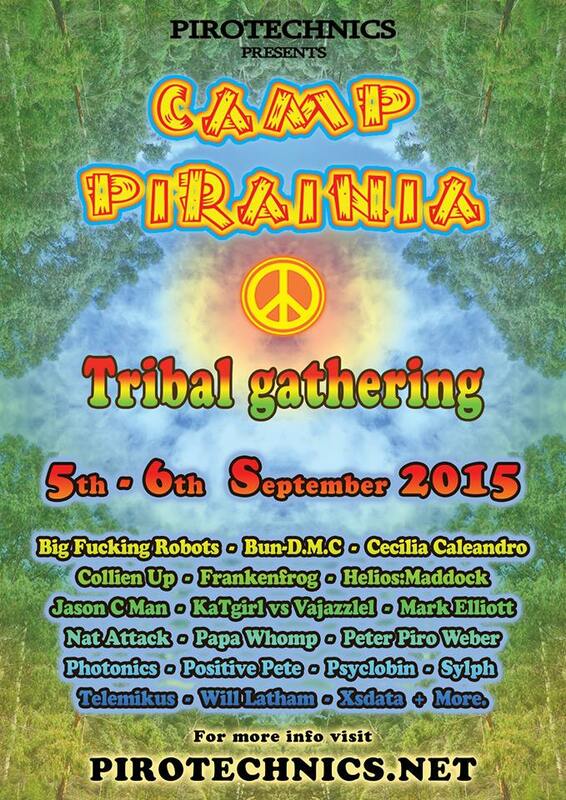 Camp Pirainia Tribal Gathering – September 5th & 6th 2015 – Victoria, Australia. Saturday & Sunday September 5th – 6th is the 1st weekend of Spring! We will go camping and enjoy life out in beautiful nature. This gathering will also be a 30th Birthday party and Virgo birthday celebration for any of the Virgos wanting to get involved. The location is secret camping spot with in a 2 hour drive from Melbourne. We will announce the location and directions on this page closer to the event date so please watch this page. What is your favorite Movie from 1985? A few people will be celebrating their 30th Birthday at this so we are planing to have a night cinema showing movies from 1985! PLEASE TAKE ALL YOUR RUBBISH HOME WITH YOU. Our community must respect the environment. We must be committed to leaving no physical trace of our activities wherever we gather. We must clean up after ourselves, take all our rubbish home with us and leave the camp site in a better state than when we found it. This gathering aims to raise funds for our Pirainia Theme Camp and future Pirainia events. All funds from ticket sales will go towards making Camp Pirainia the best it can be and our future gatherings. Sunday the 6th is father’s day! For any Dads wanting to bring their kids or big kids wanting to bring their older Dads, we are keeping this gathering family friendly! Torch or headlamp: Tripping in the dark is only fun when you plan on doing it. Anyone under 18 must be accompanied by a parent or legal guardian at all times! Take All your rubbish home with you. Leave no trace! (Respects the environment) we will not provide any bins so bring a bin bag and take your rubbish home with you. Children under 12 are free and must be accompanied by a parent or legal guardian at all times! You agree to comply with any and all rules, regulations, terms, and conditions of the Camp Pirainia Tribal Gathering. This Gathering will be registered with local police. We intend to work together with the local police to provide a safe environment for everyone. Sections of the camp have been fitted with security cameras for your protection. YOU KNOWINGLY AND VOLUNTARILY ASSUME ALL RISK OF PROPERTY LOSS, PERSONAL INJURY, SERIOUS INJURY, OR DEATH, WHICH MAY OCCUR BY ATTENDING THE 2015 CAMP PIRAINIA TRIBAL GATHERING, AND HEREBY FOREVER RELEASE, DISCHARGE, AND HOLD CAMP PIRAINIA TRIBAL GATHERING HARMLESS FROM ANY CLAIM ARISING FROM SUCH RISK, EVEN IF ARISING FROM THE NEGLIGENCE OF CAMP PIRAINIA TRIBAL GATHERING, OR FROM THIRD PARTIES, AND YOU ASSUME FULL RESPONSIBILITY AND LIABILITY FOR YOUR PARTICIPATION.